SEATTLE — Boundless Immigration, a technology company empowering immigrants to more confidently and affordably navigate the U.S. immigration system, filed a 19-page public comment opposing new obstacles for U.S. citizenship applicants. The changes — a set of updates to the Notice of Naturalization Oath Ceremony (Form N-445) — were proposed by the Department of Homeland Security (DHS) and set in motion on February 1. The public comment period closed on April 2. The longstanding purpose of Form N-445 is simply to confirm that an applicant for U.S. citizenship remains eligible during the months between their successful naturalization interview and their final Oath of Allegiance ceremony. But DHS plans to complicate this form by requiring extensive additional documentation, adding a translator certification requirement, and asking a tortuous question about criminal activity, among other changes. Boundless Immigration’s detailed analysis — demonstrating how these Form N-445 changes would be substantively unlawful and needlessly burdensome for immigrants on the home stretch for U.S. citizenship — is available here. These changes to Form N-445 are unlawful. DHS seeks to cloak major policy changes under the guise of updating a government form, which violates the Immigration and Nationality Act, the Administrative Procedure Act, and the agency’s own regulations. Boundless also identified numerous violations of the Paperwork Reduction Act, which is intended to ensure that changes to government forms reduce complexity and public burden. Unnecessary and confusing new requirements are likely to intimidate and entrap citizenship applicants. 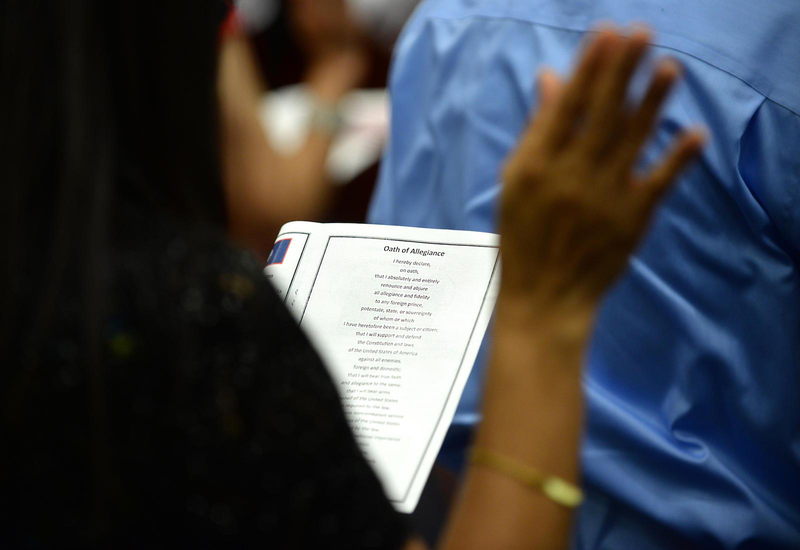 Reaching the last step of the naturalization process, the oath ceremony, is already a long and arduous journey for green card holders who must wait 3–5 years to apply for citizenship. Now DHS plans to complicate that final milestone by requiring would-be citizens to unearth every last immigration document they’ve ever received, even long-expired documents with no relevance to eligibility for citizenship. DHS further plans to add a new translator certification requirement, even though the vast majority of citizenship applicants have already proven their English proficiency during the citizenship interview. Other changes could lead applicants to make honest mistakes on their oath appointment and imperil their future status as U.S. citizens. The paperwork costs for citizenship applicants would exceed $200 million annually. As with its estimation of costs related to altering Form N-400 (Application for Naturalization), DHS once again grossly underestimated the extra red-tape burden of such form changes on immigrants. Based on an opaque methodology, DHS claims that its proposed changes to Form N-445 would cost nothing. Boundless found, through reasonable assumptions, that the total annual cost would in fact equal nearly $205 million. Wang is available for interviews on why the company took a stand against these changes. To arrange an interview, please send an email to xiao@boundless.com.